When Wrigley asked if they could send me a box of candy, naturally I said “Yes, immediately.” Who would say no to a box of candy? And a box of candy they sent me, alright. 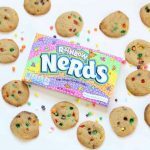 They sent me so much candy the ideas for crafting creative treats started flowing and I have not one, but three ideas to share with you. So the next week will be ever so much candy fun. 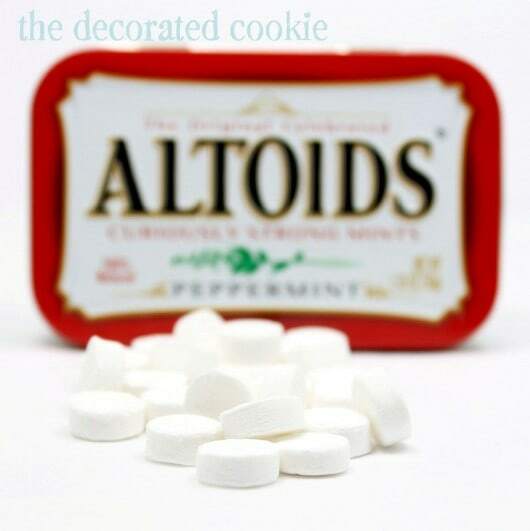 First up are these mint chocolate Altoids cookies. Made with real Altoids, for serious. But first, let’s get fresh (groan, I know, I had to go there). 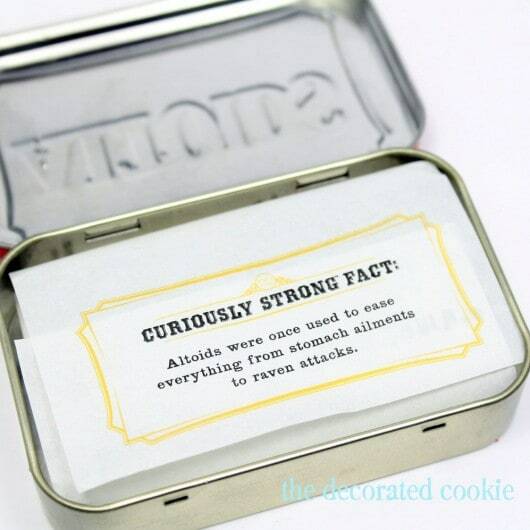 As a long-time Altoids® fan–because they are truly, curiously strong–my eye went right there first. Wanna know what I made? 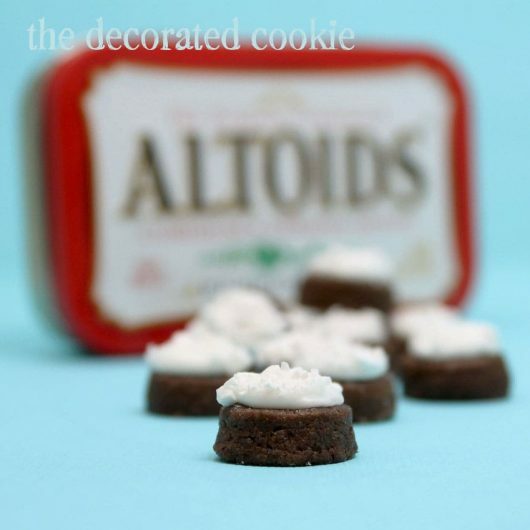 Little, teeny, tiny chocolate cookie “mints” topped with crushed Altoids®. These are surprisingly delicious. Suprisingly because I was half expecting the curiously strong Altoids® to at best oddly complement and at worst totally overpower the teeny, tiny chocolate cookie bites. They didn’t overpower. At all. 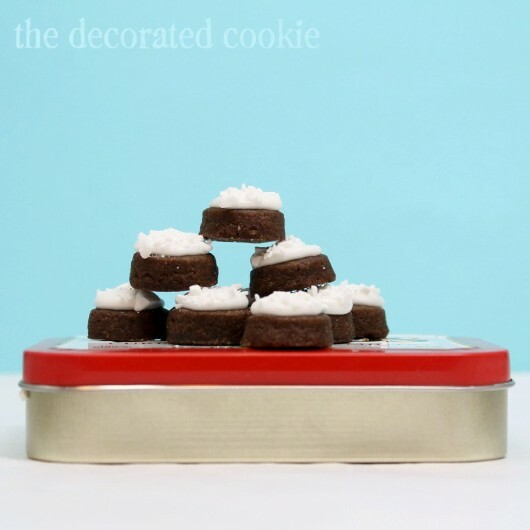 The Altoids® gave just the mildest hint of mint flavor to the chocolate cookies. Must be something about pairing the mints with chocolate and icing that softens their strength. I don’t know, but yum. 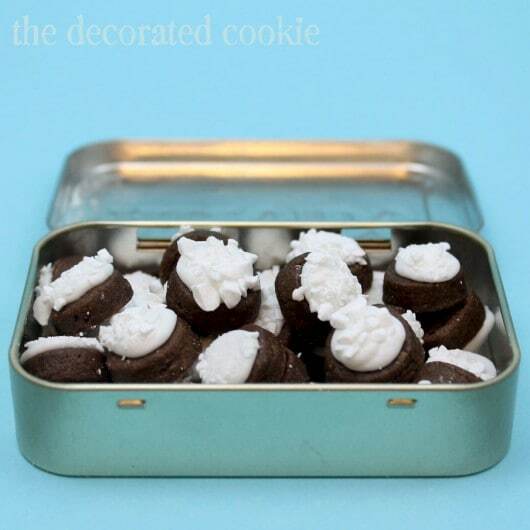 So grab a tin, empty out the mints, crush them up and fill the tin back up with teeny, tiny chocolate “mint” cookie bites. *Find the circle cutter (likely part of a larger set), decorating bag, coupler, and tip at the craft store. For food coloring, I suggest Americolor Soft Gel Paste, Bright White. Prepare chocolate cookie dough according to the recipe, chill, roll out about 1/4-inch thick, cut out mini circles and bake according to the recipe, reducing baking time by several minutes because these are so tiny. Let cool completely. 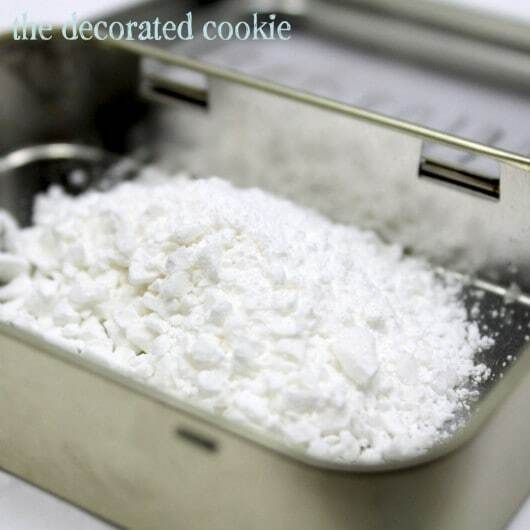 Prepare royal icing according to the recipe and tint white. Fill a decorating bag fitted with the coupler and tip and close tightly with a rubber band. Empty mints into a Ziploc bag and use the mallet to crush the mints. You may want to lay the bag on a cutting board or dish towel to protect the surface beneath. Pour the crushed mints into a shallow bowl. Hold a cookie at the sides with your thumb and forefinger in your non-dominant hand. 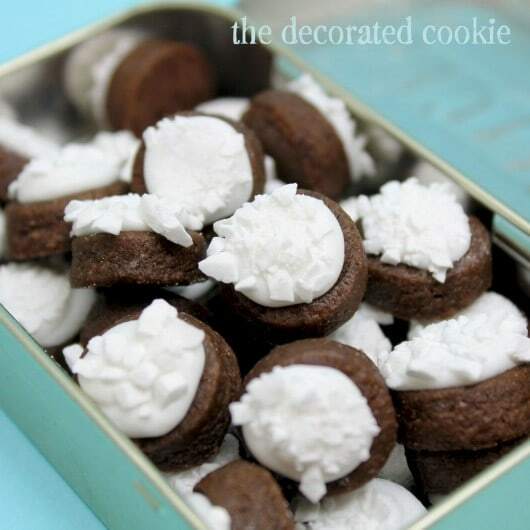 With the decorating bag in your other hand, pipe a dot of white icing on the cookie and overturn to dip the icing in the crushed mints. Set on a baking tray and let dry overnight. So stinking cute, Meaghan! I love them! Meaghan – you are the most crazy fun creative person! 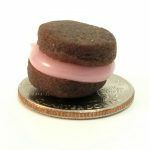 These cookies are itty bitty! I love them! Hello! 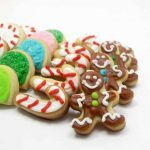 😀 I just mentioned you as an inspiration (for your adorable confections on sticks) on my new blog, Sugar and Spice and Everything Sparkly! Thank you for being amazing. I love the teeny weenie little cookies! The combo of chocolate and mint is always a winner … but I would not have thought about using Altoids! These are SO CUTE! 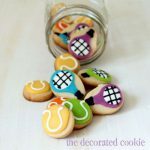 What a great idea to put them back in the tin! I am so going to do this. I also received a candy kit and am working on a couple of things:) This is so clever, Meaghan! that is just the cutest thing ever, I love the idea! Hi Meaghan, it’s the crazy ‘we don’t have corn syrup’ lady again, lol. We don’t have these Altoids either, gah! But they look great. I’m laughing at the facts inside the tin about the raven attacks too, funny! Thank you Jill! And thank you Lisa, crazy no corn syrup lady! The UK doesn’t have ALTOIDS???? How can that possibly be? 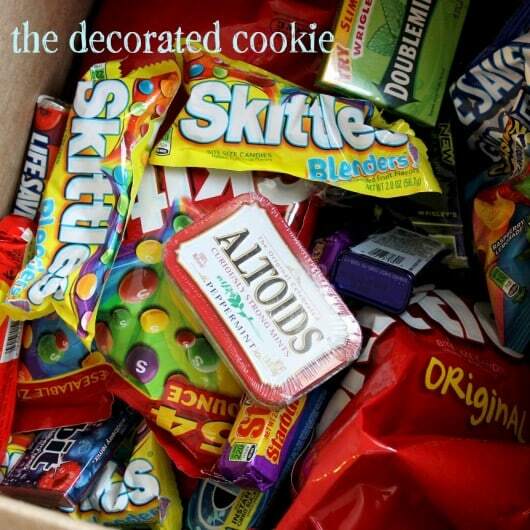 Though you all do win in the chocolate department, hands down.